SCM13: Transitioning pediatric kidney transplant recipients to adult care – What’s the fuss about? Transitioning pediatric kidney transplant recipients to adult care – what’s the fuss about? If you’re wondering what is transition – it is the planned and purposeful movement of the adolescent from child-centered to adult-oriented care – whereas transfer is the actual event. Why does it matter? Young adults have a high incidence of non-compliance leading to one of the highest rates of rejection and graft loss. This may be related to the incomplete development of the adolescent brain. Studies suggest outcomes get even worse during the time of transfer. Data on transition is sparse, but almost never mentioned in adult journals, making it easy to overlook for an adult provider. Barriers to transition include poor preparation by the pediatric team, poor reception by adult providers that have not been educated in taking care of young adults, and poor communication between pediatric and adult teams. Models of transition exist that improve the transfer of care, and have been demonstrated to improving outcome, although in small single center studies. Transplant professionals should acknowledge transition as a potential time for problems, facilitate communication between pediatric and adult teams, track these patients, and consider creating a joint transition program with both pediatric and adult provider input to allow young adults the best possible experience and outcome. Post written by Dr. Vinay Nair, eAJKD Advisory Board member. 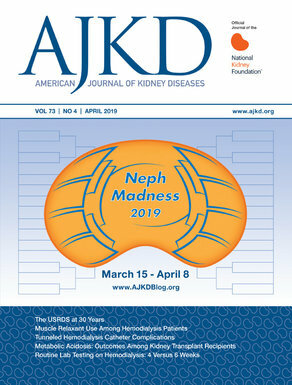 Check out more eAJKD coverage of the NKF’s 2013 Spring Clinical Meetings!